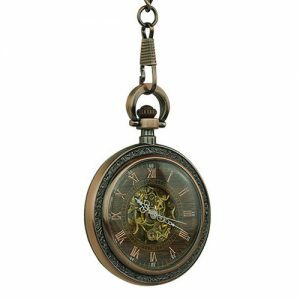 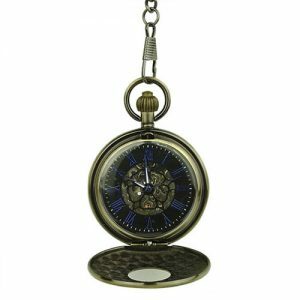 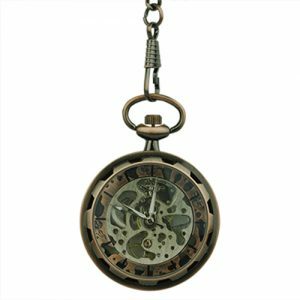 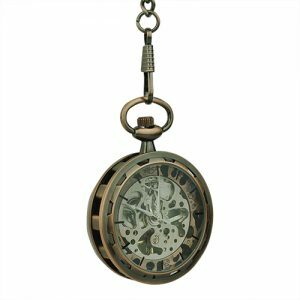 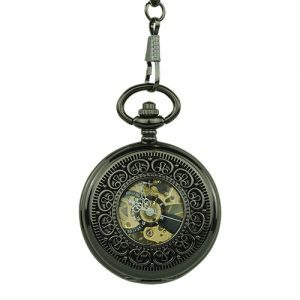 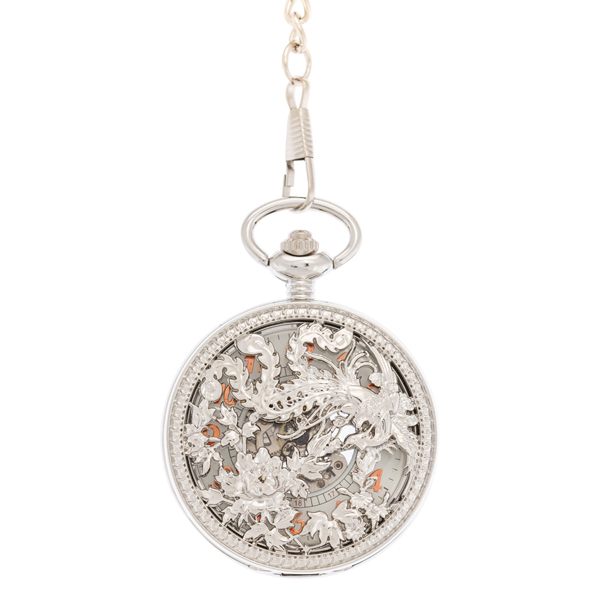 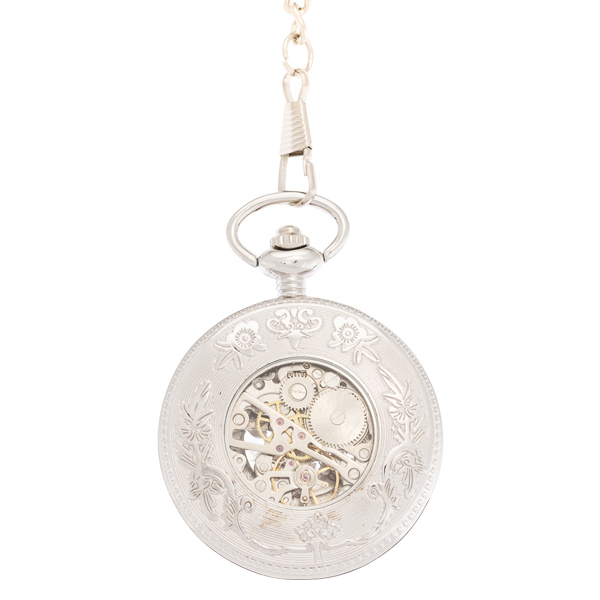 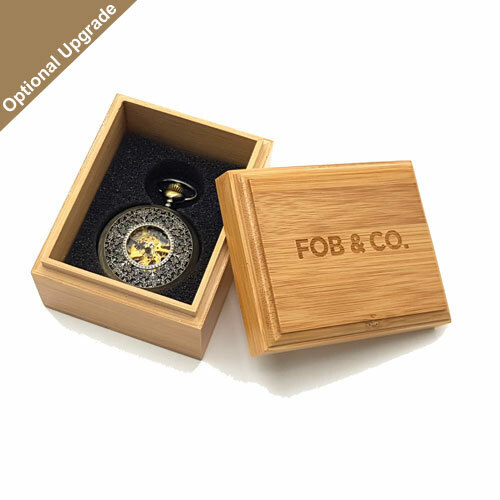 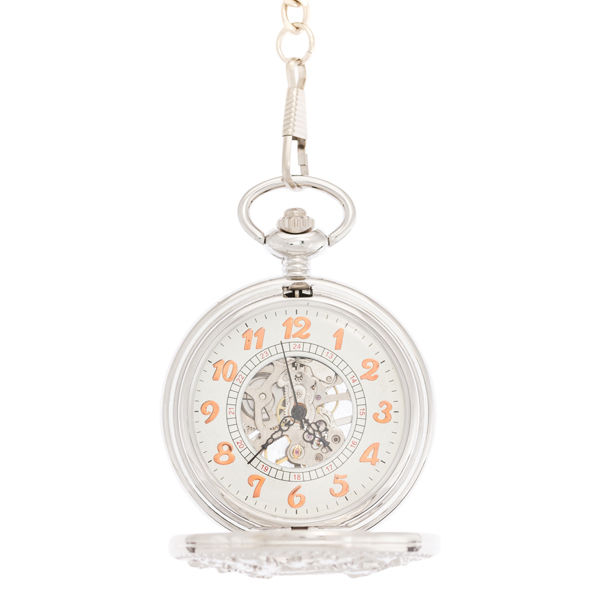 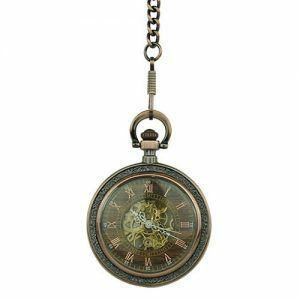 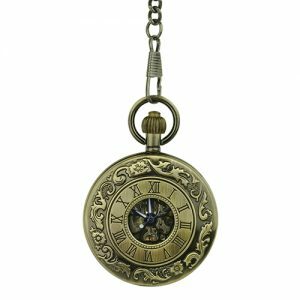 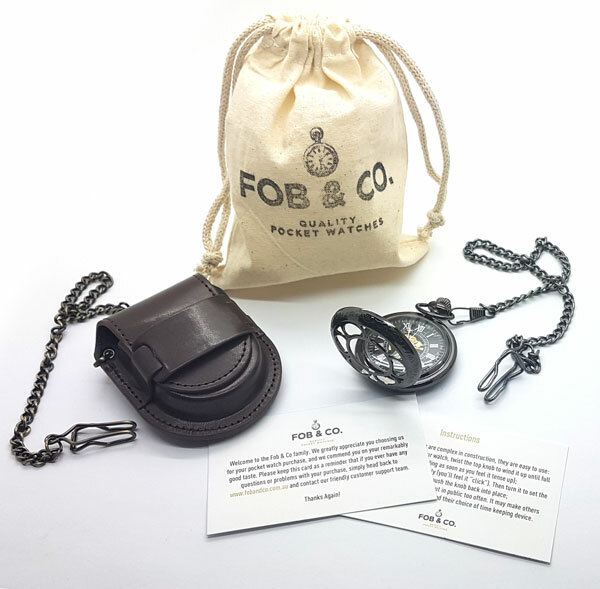 Floral Extravaganza Half Hunter Pocket Watch - Fob & Co. 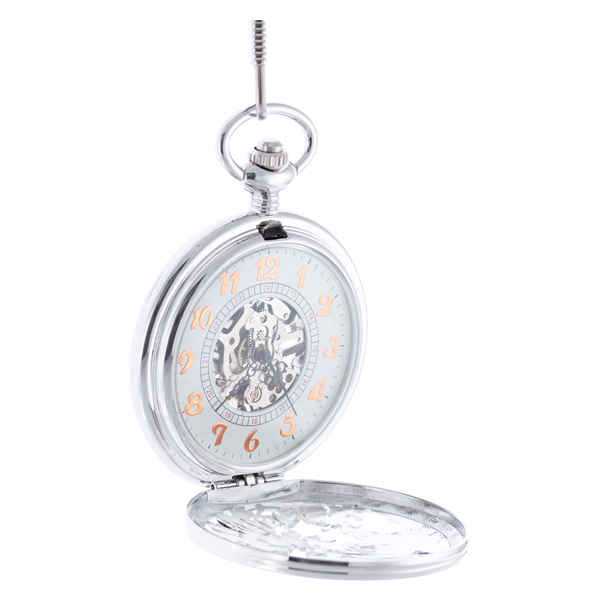 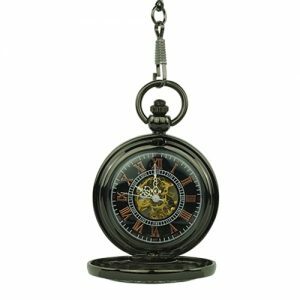 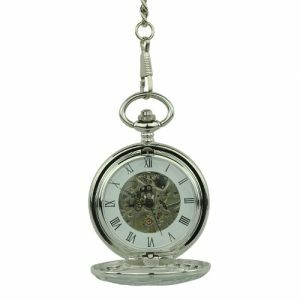 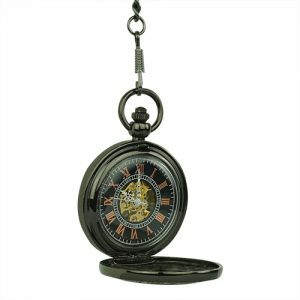 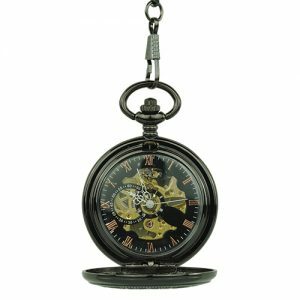 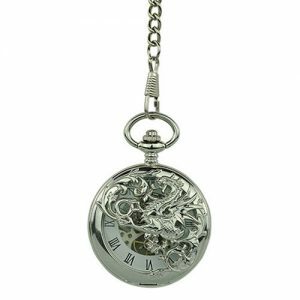 Pair this dapper pocket watch, with a silver-coloured frame and half hunter cover featuring an intricate leafy, plant design, with any outfit for an on-trend look. It also features a viewing window that reveals a white outer ring watch face with orange numbers and a see-through centre to the silver-toned inner workings.